Meerkats inhabit the savannah and desert areas of Angola, southern Botswana, Namibia and South Africa. An adult sentry will keep a watch-out for predators as the remaining members of the group forage for food. They will eat insects, Scorpions, Snakes, small mammals and plants. They have short parallel stripes across their backs, extending from the base of the tail to the shoulders. The patterns of stripes are unique to each Meerkat. Meerkats have an average life span of 12-14 years. A group of Meerkats is called a 'mob', 'gang' or 'clan'. 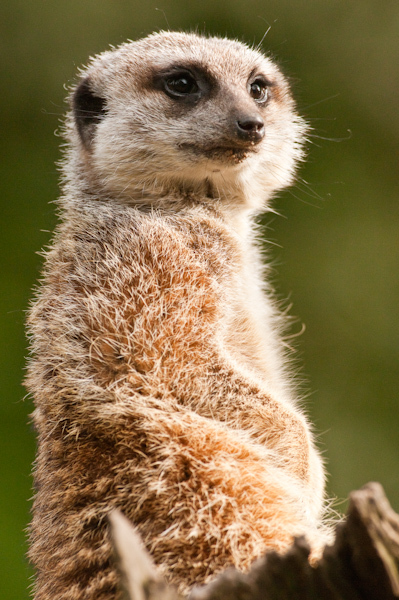 A Meerkat clan often contains about 20 Meerkats, but some super families have 50 or more members.